SIZE : Net Wt. 8 oz / 226 grs. Help capillary growth. Beauty, Vitality, Flexibility, and Softness to the hair, helping its growth. Size: Net. / 240 grams. Help capillary growth. Beauty, Vitality, Flexibility, and Softness to the hair, helping its growth. Size: Net Wt 61 Oz. (1730 grams). 100% authentic, fresh & new. Help capillary growth. natural phitoterapeutic shampoo. Beauty, Vitality, Flexibility, and Softness to the hair, helping its growth. Size: 13.2 Fl. 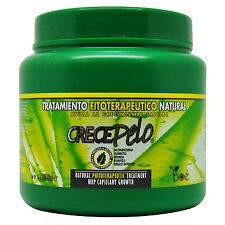 BOE Crece Pelo Natural Treatment Helps Capillary Growth 61 Oz. "Pack of 2"
Help capillary growth. Beauty, Vitality, Flexibility, and Softness to the hair, helping its growth. Add favorite. 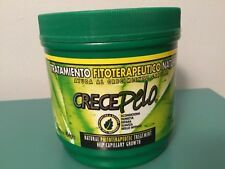 5 out of 5 stars - BOE Crece Pelo Natural Treatment Helps Capillary Growth 61 Oz. 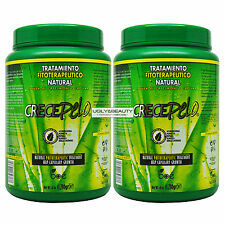 "Pack of 2"
2 product ratings2 product ratings - BOE Crece Pelo Natural Treatment Helps Capillary Growth 61 Oz. "Pack of 2"
Remove seemingly unmanageable tangles while stimulating hair growth with Crece Pelo Leave-In Conditioner from Boe. Work conditioner through hair from root to end, then leave in hair, no rinsing required. We strive to be the best; leaving a 4 star DSR is as bad as leaving a 1 star DSR. Avoids flaking. Beauty, Vitality, Flexibility, and Softness to the hair, helping its growth. help capillary growth. Size: Net Wt 61 Oz. (1730 grams). 100% authentic, fresh & new. 100% authentic, fresh & new. Crece Pelo Natural Phitoterapeuti. 100% authentic, fresh & new. We strive to be the best; leaving a 4 star DSR is as bad as leaving a 1 star DSR. Softens and repair hair. Avoids flaking. Get maximum protection for your hair with this natural leave-in conditioner. You can style your hair normally while you use it. We strive to be the best; leaving a 4 star DSR is as bad as leaving a 1 star DSR. Beauty, Vitality, Flexibility, and Softness to the hair, helping its growth. help capillary growth. Size: Net. / 454 grams each. Crece Pelo Leave-in is a special formula cream for conditioning and protecting maximum of hair. Our special components condition, hydrate, protect, and actuate each capillaries capes. Size: 12 Oz. BOE CrecePelo for Hair Growth Combo Set. Hair Shampoo yeguada la reserva 1 litro Condition is New. Shipped with USPS First Class Package. Boe Crece Pelo rinse is the first natural Phitohterapeutic treatment that involves the use of natural plants for hair growth. this innovative formula provides extracts and 100% natural assets necessary for a healthy hair avoiding excessive flaking and adding nutrients to return health, beauty, vitality, flexibility and softness to the hair, helping its growth. Size: 12.5 Ounces. Help capillary growth. Beauty, Vitality, Flexibility, and Softness to the hair, helping its growth. Size: Net. / 454 grams. Specifically formulated to condition and protect your hair. The components help to hydrate, condition, protect. Size: 4 oz / 113.5 g.
Help capillary growth. Beauty, Vitality, Flexibility, and Softness to the hair, helping its growth. Size: Net Wt 36 Oz. (1030 grams). Beauty, Vitality, Flexibility, and Softness to the hair, helping its growth. help capillary growth. Size: Net. / 454 grams each. 100% authentic, fresh & new. Its active components target your hair's capillaries to nurture growing hair right from its roots. Size: 8 oz / 226 g. Contains natural plant extracts that stimulate hair growth. Beauty, Vitality, Flexibility, and Softness to the hair, helping its growth. Size: Net Wt 4 Oz. / 113.5 Grams. natural phitoterapeutic leave-in. 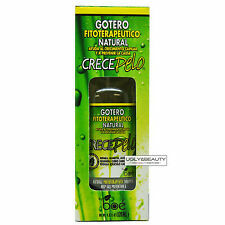 Crece Pelo Rinse Fitoterapeutico Natural (Natural Phototherapeutic Rinse) 12oz. This Product is Manufactured in Dominican Republic. Best Beauty product. BOE Crece Pelo Rinse Fitoterapeutico Natural 12.5 oz. Natural phitoterapeutic rinse. Beauty, Vitality, Flexibility, and Softness to the hair, helping its growth. 100% authentic, fresh & new. BOE Crece Pelo Natural Phitoterapeutic Shampoo for Capillar Growth. NATRUAL PHITOTERAPEUTIC SHAMPOO FOR CAPILLAR GROWTH First Shampoo phito therapeutic that consists on the use of Natural plants, for the capillary growth. Specifically formulated to condition and protect your hair. The components help to hydrate, condition, protect. Size: 12 fl oz / 340 ml. My photos may not be perfect but they are my own. Natural phitoterapeutic rinse. Beauty, Vitality, Flexibility, and Softness to the hair, helping its growth. Size: 12.5 Fl. Its active components target your hair's capillaries to nurture growing hair right from its roots. Size: 61 oz / 1730 g. Contains natural plant extracts that stimulate hair growth. 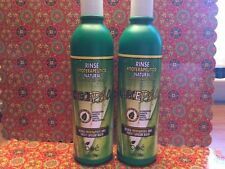 (2-Pack) Boe Crece Pelo Natural Phitoterapeutic Shampoo 13.2oz SEALED! 2 out of 5 stars - (2-Pack) Boe Crece Pelo Natural Phitoterapeutic Shampoo 13.2oz SEALED! 1 product rating1 product ratings - (2-Pack) Boe Crece Pelo Natural Phitoterapeutic Shampoo 13.2oz SEALED! Crece Pelo Rinse Fitoterapeutico Natural (Natural Phototherapeutic Rinse) 12oz. 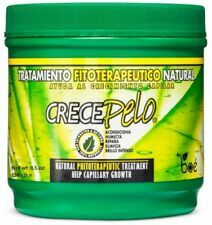 Crece Pelo offers a natural treatment for your capillary growth. 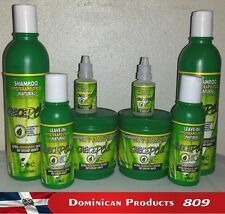 This Product is Manufactured in Dominican Republic . Best Beauty product. Shampoo Fitoterapeutico Natural. Natural Phitoterapeutic Shampoo. We strive to be the best; leaving a 4 star DSR is as bad as leaving a 1 star DSR. BOE Crece Pelo Shampoo + Rinse 12 oz "Combo Set!!" 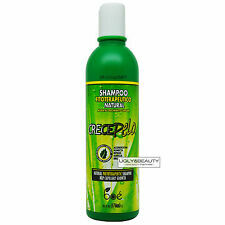 BOE Crece Pelo Shampoo for Capillar Growth - 12 oz. Crece, pelo shampoo,crece,crece cabello 1/2" cada 35 dias con kellis keratin. BOE Crece Pelo Rinse Fitoterapeutico Natural (Natural Phitoterapeutic) 12.5 oz.